Legions of Rome march again! Apparently there is a lot going on in Rome this week. Every year there is a “culture week” in which the national museums and sites like the forum and coliseum are open for free. 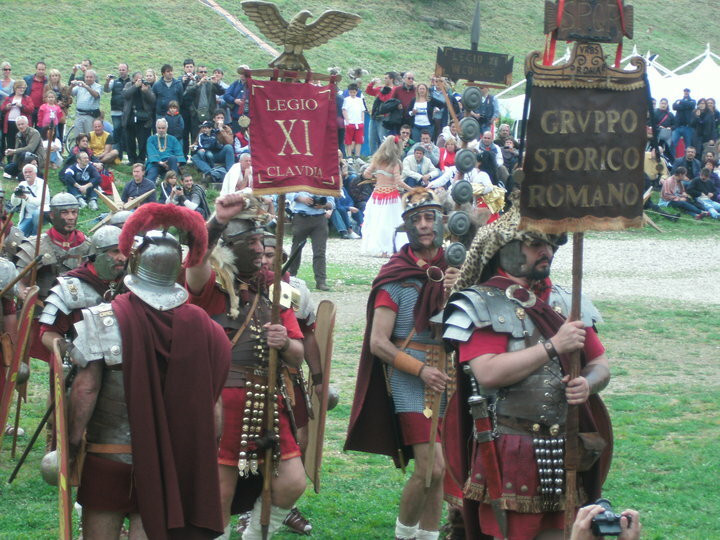 Also, in and around the forum, there was apparently a re-enactment honoring the birthday of Rome, officially celebrated later this week, on 21 April. 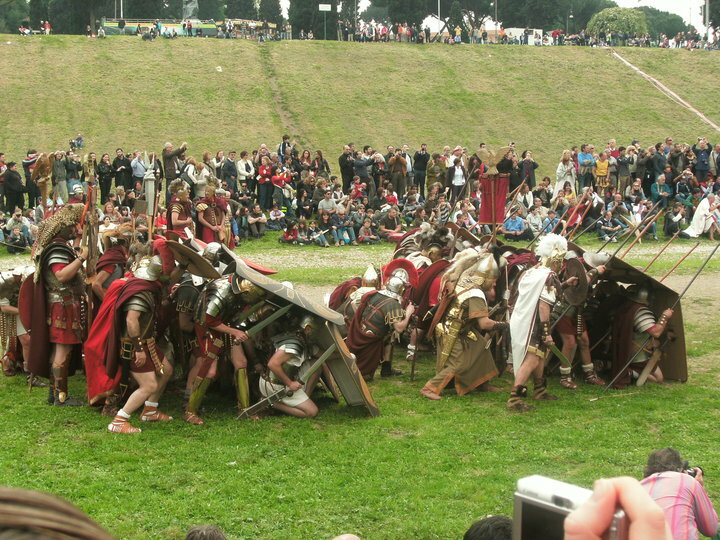 We missed most of that, but heard about some goings on down at the circus maximus. So, in true Roman fashion, instead of writing a paper I went to go watch the barbarians battle it out with the legions, some gladiator duels, and even some belly-dancing Imperial cheerleaders. You never know what will happen in Rome! By A.J. Boyd in La vita Roma on April 18, 2010 .